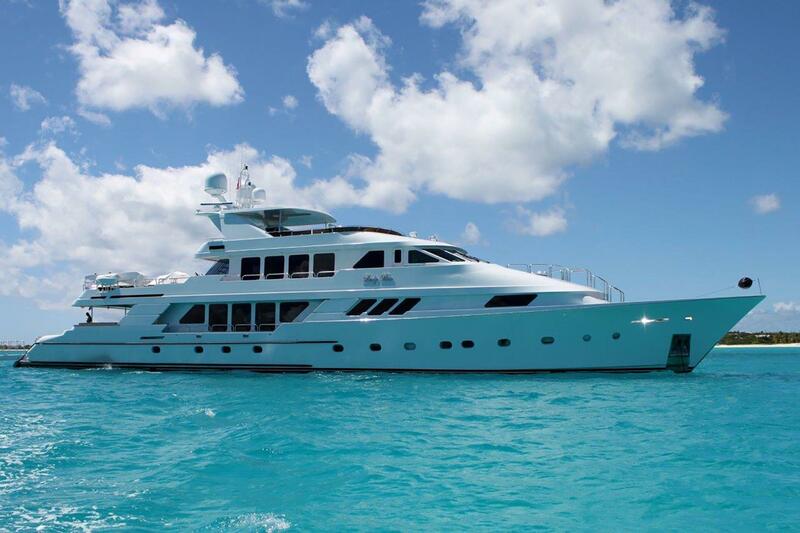 Mega yacht LADY BEE charters the beautiful turquoise waters and islands of the Bahamas. 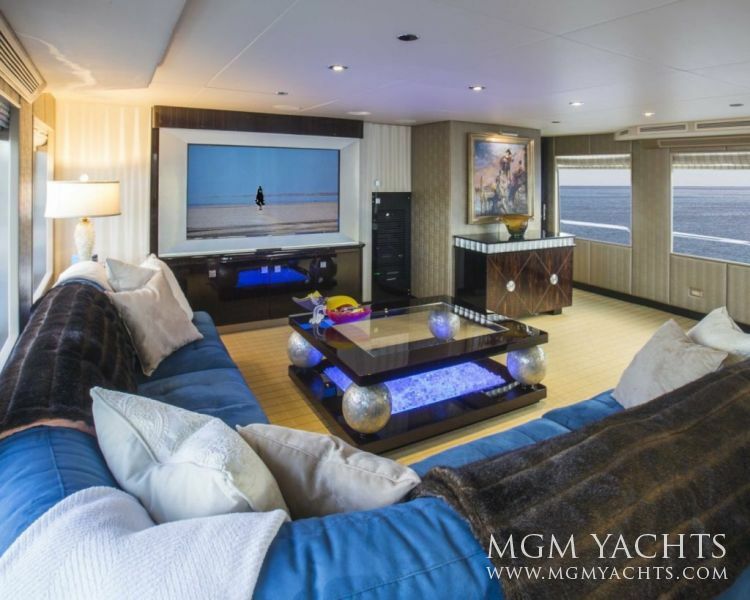 LADY BEE Charter Yacht is a Custom built 142 ft. Mega Yacht by Christensen that accommodates up to 12 Guests in 5 Staterooms. LADY BEE costs in high season: $ 130000.00 and low season: $ 115000.00 for a 7-days yacht charter + expenses. 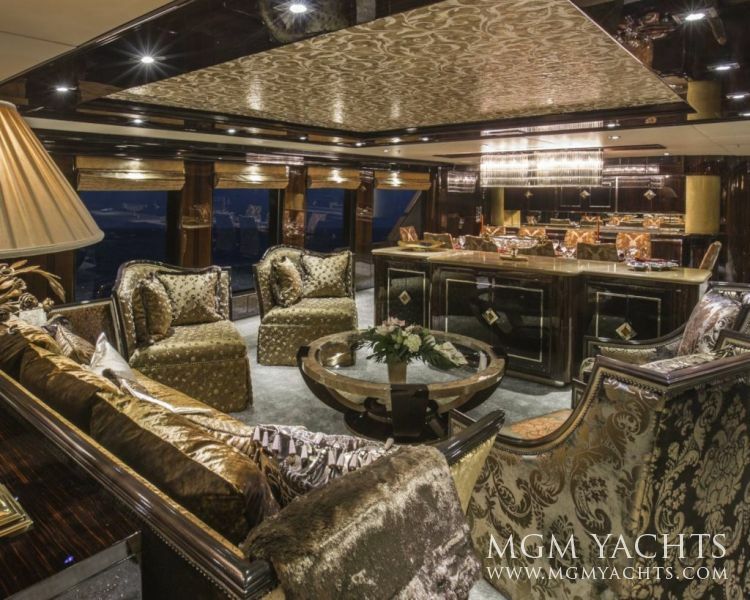 Mega Yacht Lady Bee is a stunning motor yacht is beautifully designed with luxurious furnishings fit for a king. 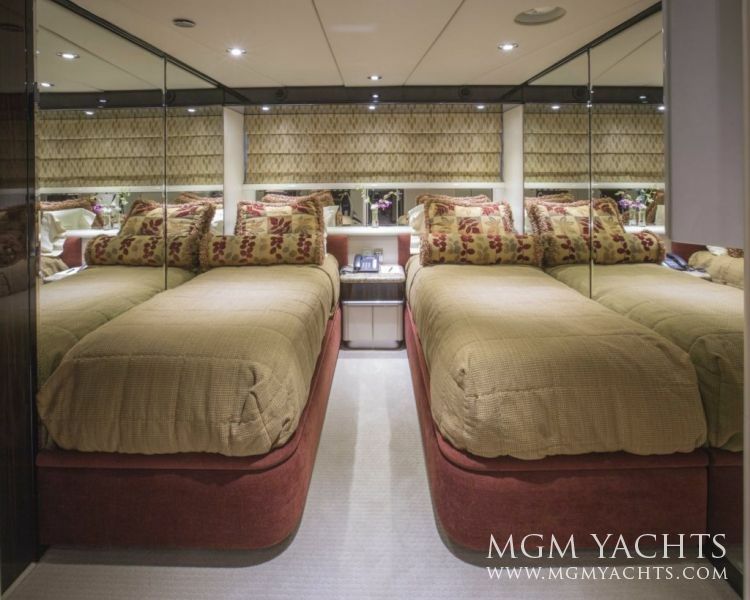 She is well maintained with 7 crew assuring an incredible yacht vacation. Built in 1995 and refitted in both 2010 and 2014, LADY BEE has been continuously upgraded and well maintained since her launch. 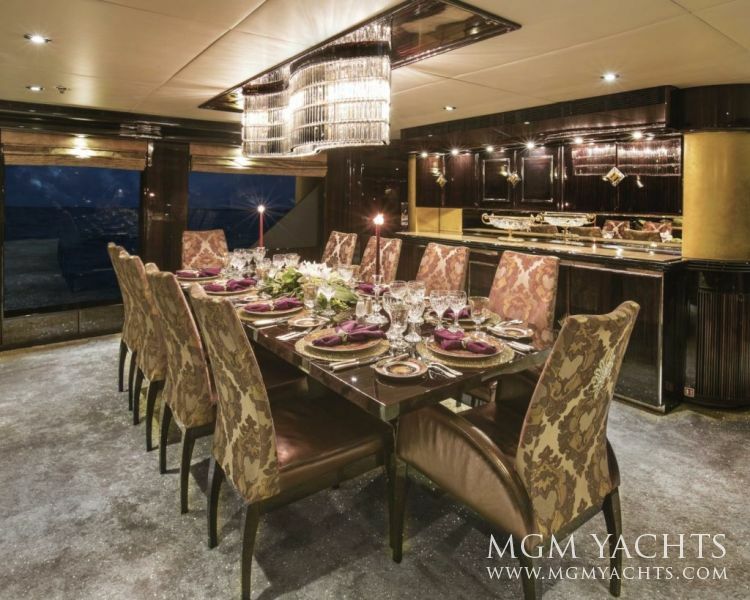 Appointed with the finest accompaniments, she offers guests comfortable cruising with state-of-the-art features. 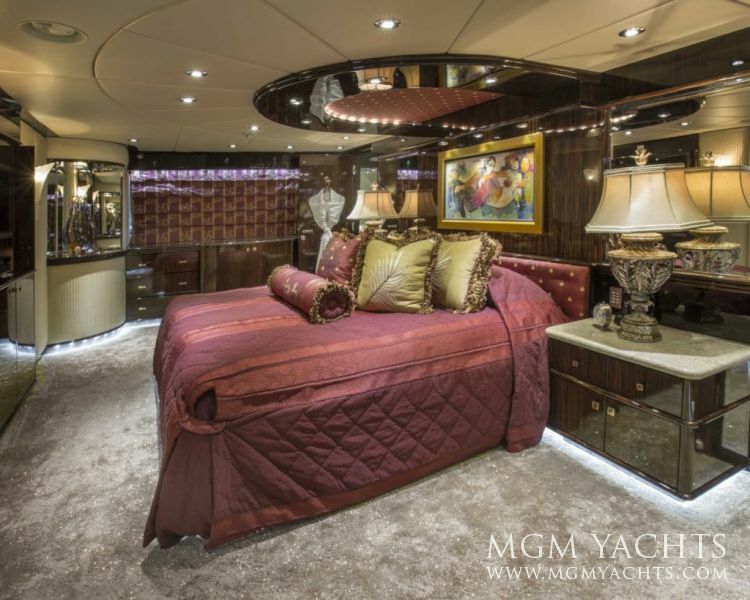 Touted as the epitome of a fun, LADY BEE is capable of accommodating a family or group of 12 guests in six spacious stylish staterooms. 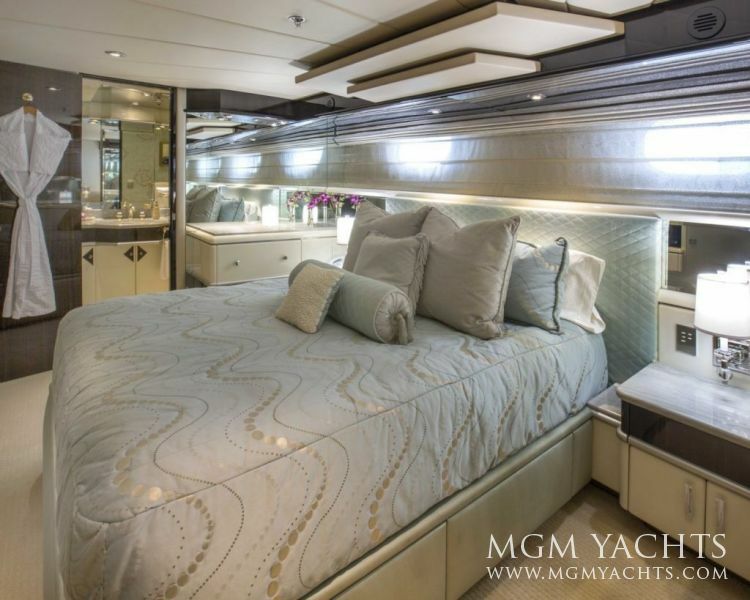 LADY BEE’s on deck spaces promote both relaxation and entertainment: full-beam master suite with king-size bed, his-and-her baths and a central European shower. 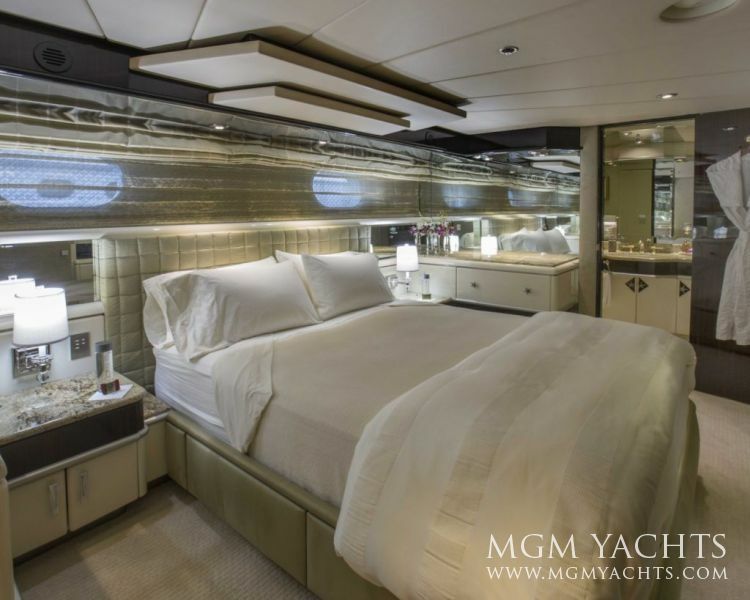 In addition to the gorgeous master stateroom, M/Y LADY BEE features five staterooms with queen-size beds and one twin stateroom, all of which offer en-suite baths and full entertainment centers. 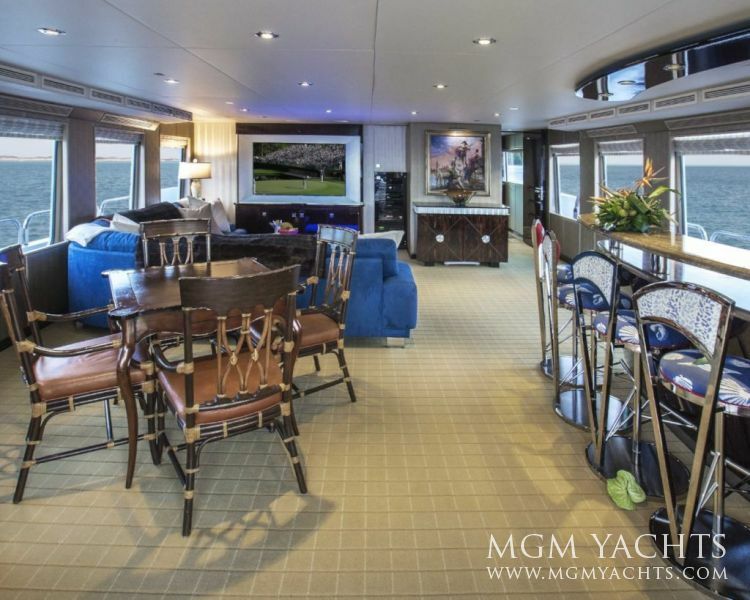 On her large sundeck with Jacuzzi LADY BEE offers plenty of space for relaxation. 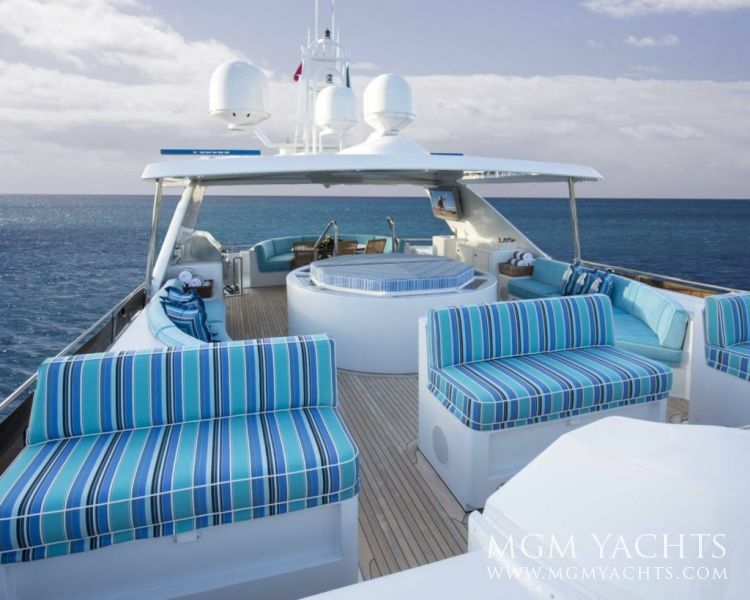 For the active and adventurous yacht charterers, LADY BEE has an extensive inventory of water toys available, including a 38-foot Jupiter towed tender equipped with a dayhead, three WaveRunners and an in-water trampoline. 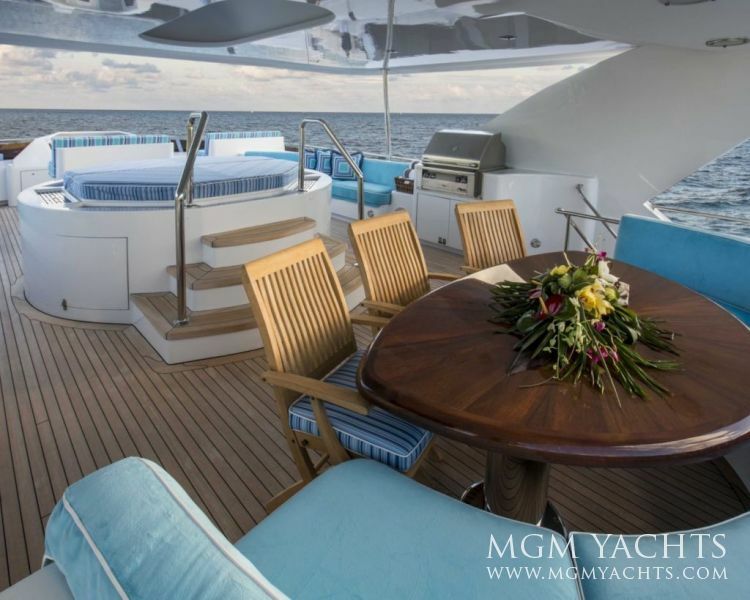 Motor Yacht LADY BEE is the perfect dive yacht for a Caribbean or Bahamas charter. 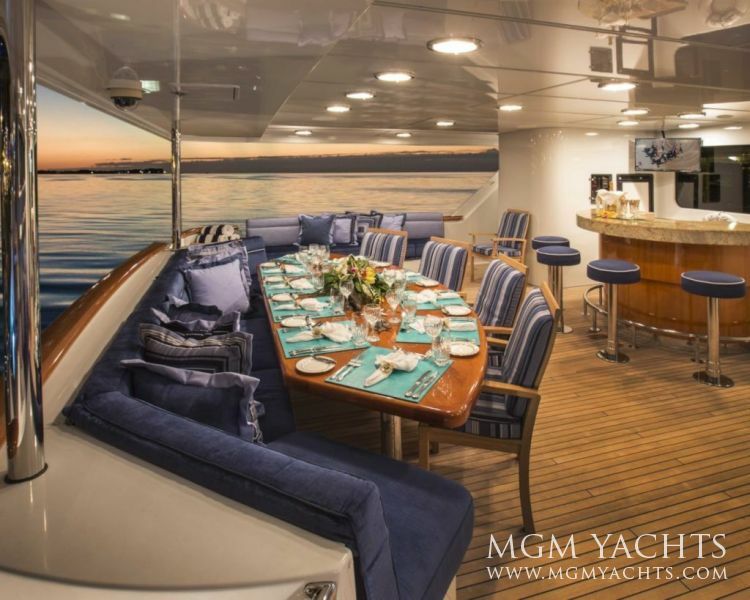 Captain Kevin Klar and his professional crew boast a one-hundred-percent can-do attitude and are on hand to create those unforgettable memories that make you want to keep chartering LADY BEE year after year. 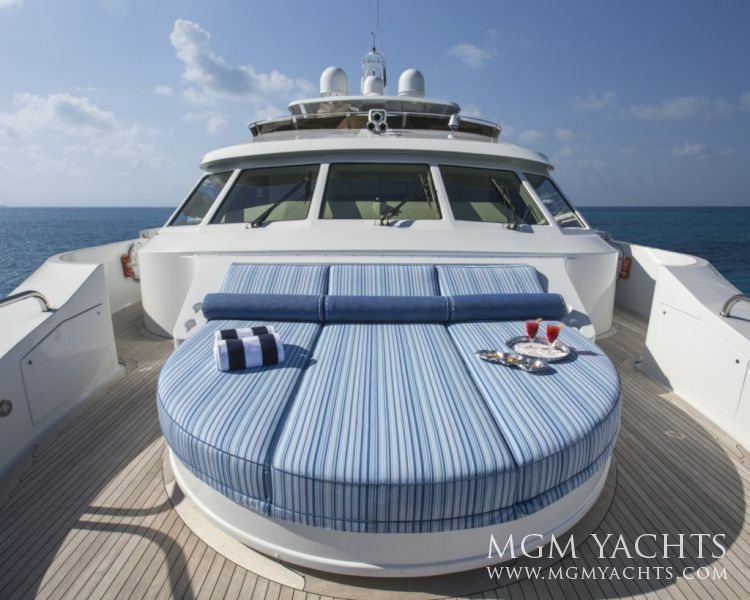 Charter this luxury yacht contact us for more details.